For women facing unplanned and crisis pregnancies, a pregnancy resource center can be the ultimate lifeline when someone feels like they’re drowning. At 21 years of age and still in school, pregnancy and motherhood were not in Faith’s immediate plans. However, when she learned she was pregnant, she was excited. But others in her life were less supportive than she hoped. Before sharing the news of her pregnancy, Faith had gone to see the staff and volunteers at Pregnancy Resource Center of Rolla in Missouri. They confirmed that she was indeed pregnant and Faith expressed her joy. READ: Could a pregnancy resource center have saved Victoria from abortion regret? After her baby’s father suggested abortion, and feeling like she had few choices, Faith returned to PRC of Rolla, remembering how they had treated her with dignity and respect, and had been non-judgmental of her situation. 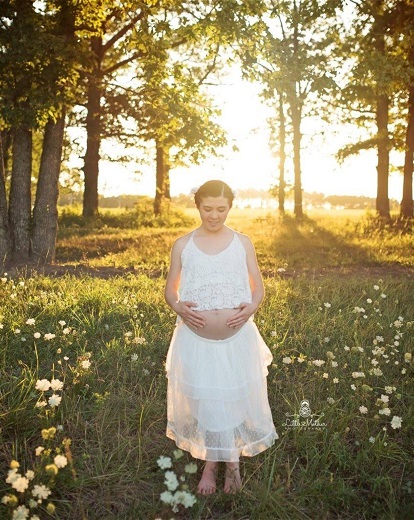 Thanks to Pregnancy Resource Center of Rolla, Faith was able to refuse abortion. 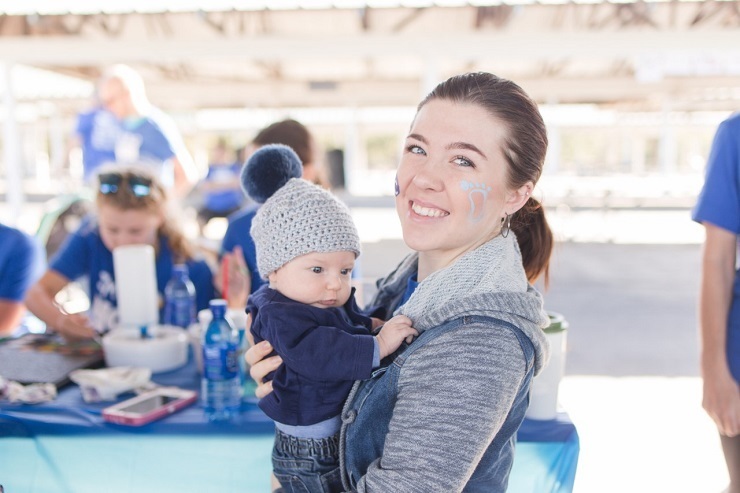 Faith said that Dalton ensured her that everything was going to be okay, and reminded her that she was already a mother, and had already been taking steps to create the life she wanted for her child. “Things are never what you think they should be or what you want, but it all ends up coming out exactly the way it should and exactly the way God intended,” she explained. Although Faith’s relationship ended, the next couple of months of her pregnancy went well for her. She learned she was expecting a boy, but then her living situation suddenly changed, and she turned again to PRC of Rolla. That’s when Dalton introduced her to St. Raymond’s Society. PRC of Rolla and St. Raymond’s work together to help women solve the problems in their lives that are causing them to consider abortion. Using professional life coaches, they walk through option coaching to examine how life would look if they chose to parent, chose abortion, or chose adoption. They realistically discuss the short and long-term outlook for each option. Dalton said that in 20 years, she has yet to meet a woman who actually wants to have an abortion. Faith moved into St. Raymond’s when she was six months pregnant and has been there more than a year. Nine months ago on her 22nd birthday, she gave birth to her baby boy, Noah. During this time she has been working with Dalton and a unique life-planning curriculum in order to reach her goals and become self-sufficient. 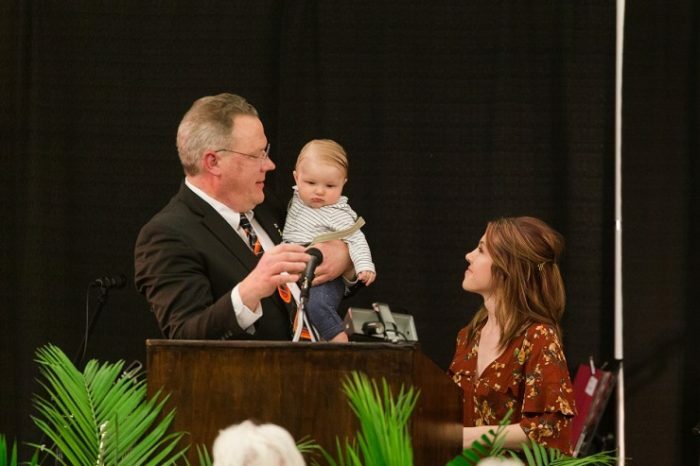 Faith and Noah joined Pregnancy Resource Center of Rolla director Joe Dalton at their banquet. Photo courtesy of Pregnancy Resource Center of Rolla. And just because Faith’s almost ready to be on her own, it doesn’t mean the services provided by PRC of Rolla and St. Raymond’s will suddenly become unavailable to her. If not for PRC of Rolla and St. Raymond’s Society, Faith’s story could have gone very differently. However, thanks to the dedication of those two remarkable organizations, life is going very well for her and Noah.